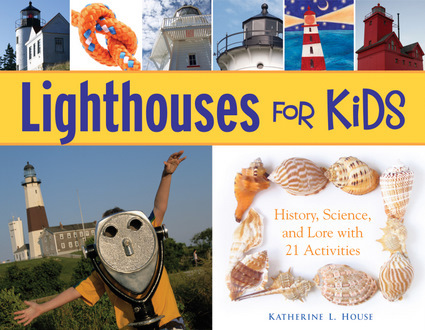 Bringing to life an era when rivers, lakes, and oceans were the nation’s highways and lighthouses served as traffic signals and maps, this comprehensive reference provides children with an in-depth history of lighthouses and firsthand stories of the challenges faced by lighthouse keepers. Click here for a sample activity. Resources include a time line, glossary, web sites to explore, a detailed bibliography, and a list of lighthouses to visit.